Nokia last night announced the launch of two new smartphones running Microsoft's Windows Phone operating system, the flagship Lumia 900 and the entry-level Lumia 610. Both phones will be available in Australia next month. At a media event in Sydney last night, the struggling Finnish manufacturer revealed that the Lumia 900, Nokia's new flagship smartphone, will initially be available through Optus for $0 on the $60 Optus plan or for $699 outright. The Lumia 900 is basically a larger Lumia 800. It has a 4.3in screen compared to the much smaller 3.7in panel on the 800, though it uses the same AMOLED display with an identical resolution of 480x800. The Lumia 900 also has the same 8-megapixel camera as the Lumia 800, but it includes a front-facing 1.3-megapixel camera for video calling, a feature absent from the Lumia 800. These features aside, the Nokia Lumia 900 differs little from the Lumia 800 when it comes to specifications. It is powered by the same single-core 1.4GHz processor and 512MB of RAM, while it also has the same amount of internal memory, 16GB. Nokia first announced the Lumia 900 in January, but this was a US-only model designed exclusively for carrier AT&T. It has since launched an LTE 4G model in Canada through telco Rogers, but the Australian model is not 4G capable. In addition to the Lumia 900 Nokia will sell the Lumia 610, the baby of the Lumia family, in Australia from June. It will sell for $329 through Boost Mobile next month and will then be available through Vodafone and other retailers in July. The Nokia Lumia 610 is a budget smartphone powered by modest specifications but the hardware restrictions placed on Windows Phones by Microsoft should ensure performance does not suffer. The Nokia Lumia 610 has a 3.7in display with a respectable resolution of 800x480 pixels, significantly more than most low-end Android phones that it will compete with. Nokia Australia's managing director Chris Carr said the addition of the Lumia 900 and Lumia 610 in Australia will appeal to business users in addition to consumers. "When you look at the solution that we are bringing to market, particularly in the business area, there is a very logical fit in terms of the assets that Nokia brings to the table along with Microsoft," he said. "We've seen some fantastic traction already in that business space, in particular companies such as Bridgestone and Billcorp, just to name a few." "The introduction of the Nokia Lumia 900 and Nokia Lumia 610 has been very well-received overseas, and we expect a similar consumer reaction here." 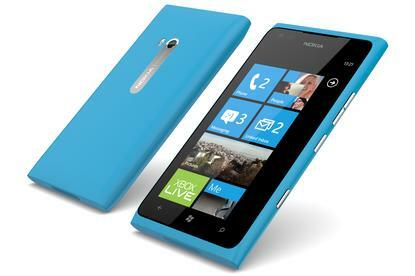 The Nokia Lumia 900 will be available in four colours — white, cyan, magenta and black — while the Lumia 610 comes in white, cyan, magenta and black.